I keep a distance from rap music. The reasons are pretty obvious: It tends to glorify violence, promote sexual immorality and idolize money and material possessions. As a whole it seems to promote a culture of pleasure seeking and immorality. However, the rhyme is an aspect I find interesting. There is this tingle of excitement I feel when two or more lines are made to rhyme. Wouldn’t it be great to reform the genre such that we retain the good and reject the depraved in it? A generation of musicians have emerged doing exactly that, among which one of the most prominent is Lecrae Moore (popularly known as Lecrae). Lecrae’s lyrics are deep, powerful and depict a Christian worldview – an unusual trait in his musical genre. His music is an example of what it means for Christians to transform cultural art forms. The prevalent mindset in the Church today is either withdrawal from culture or accommodation to a secular outlook, both of which fall short of the biblical mandate to take every thought captive and to seek mind renewal. In the midst of this unbiblical response to the world, Lecrae is a refreshing exception. 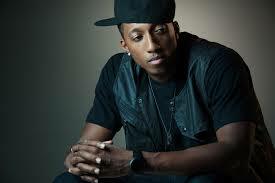 Lecrae was raised by his mother, went to church with his grandmother, but concluded that church was for old people. Early on he turned to drugs and women. He became notorious for his lawless lifestyle and even earned himself a nickname – ‘Crazy Crae’. He came to Christ through the influence of a group of Christians he met in school. According to him, those guys really looked different. They looked like him, dressed like him, and shared the same intellectual world with him, only that they were truly loving and caring. He had always believed Christians to be a dour, legalistic bunch, but here were a group of Christians who didn’t fit that label. Gradually he came to believe in Christ and his life was forever changed. He was interviewed on The Albert Mohler Program on 16th July 2009 where he expressed his views on the hip-hop genre. According to Lecrae, Hip-hop music came out of people who are economically and socially frustrated. And you can feel this rage in earlier artists within the genre. It developed as a means of expressing their frustration and disappointment. Overtime, the music took on and people began to enjoy it. And then the money started pouring in. With this they began to celebrate and exalt the money in the music, thus giving rise to the exaltation of self and sensual pleasure in the genre. The music itself is not the evil. Elements within it could be evil such as the exaltation of self and the promotion of immorality. However, certain aspects such as talking in iambic pentameter over beat, making words rhyme, are positive features that should be redeemed by Christians. I hope his career inspires many more believers to bring their faith to bear on diverse sectors of modern life.